Based on 414 customer ratings. 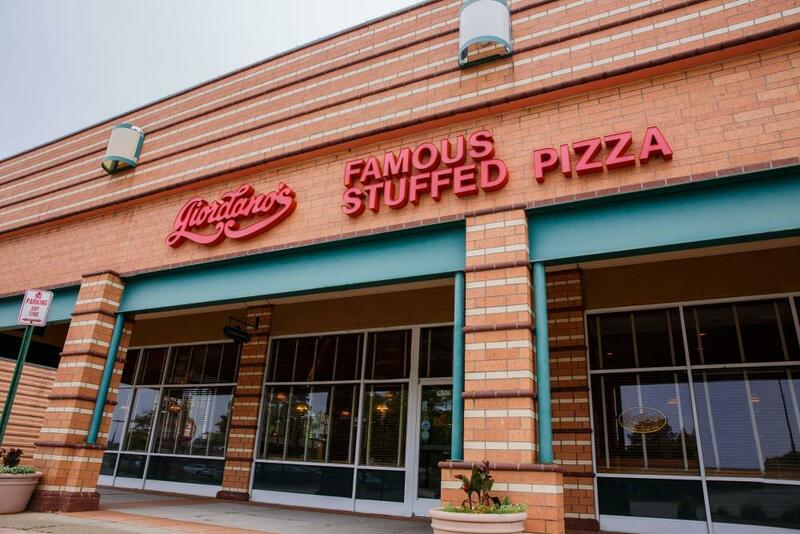 Giordano’s will make you think you’ve gone to Chicago pizza heaven. You don’t have to go to Chicago to enjoy the taste and aroma of our world famous pizza, however! Our Buffalo Grove restaurant has a full dining room with beer and wine. We also offer pickup and delivery! Who doesn’t love Chicago-style pizza? At Giordano’s we’re proud to have earned a reputation for being the Windy City’s best pizza place for over 40 years. We’re more than the best Chicago-style pizza in town — we’re a cherished tradition because of our proud family heritage and old world craftsmanship techniques. It takes 6 carefully trained artisans to tenderly construct each and every pizza — and the results? Always fresh, always flaky and always delicious. Buffalo Grove’s Best Pizza Place Order a “regular” pizza and you’ll get crust and toppings and cheese, quickly assembled, and fried first in oil. Order a stuffed pizza pie from Giordano’s and you’ll experience a taste and aroma that only our incredible artisans can create! We only use the freshest ingredients, including Wisconsin mozzarella made just for us at a small farm. We also bake our double crust pizzas to their flakiest potential, filling each with the ingredients you choose. This attention to detail is what makes Giordano’s the best pizza delivery and restaurant in Buffalo Grove! In the unlikely event our pizza won’t satisfy your hunger, try a dish from our menu. We have savory pastas, fresh salads and mouth-watering sandwiches. We even have gluten-free options, so just ask!